Eureka’s February 2019 release schedule has been confirmed today, and is set to include two entries into The Masters of Cinema Series amongst the three announcements. Shoah: The Four Sisters, is a powerful and poignant 4-part documentary, the final films from Claude Lanzmann, the acclaimed director of The Last of The Unjust and Shoah. Paula Biren, Ruth Elias, Ada Lichtman, Hanna Marton: Four Jewish women, witnesses and survivors of the most insane and pitiless barbarism, and who, for that reason alone, but for many others also, deserve to be inscribed forever into the memory of humankind. What they have in common, beside the specific horrors to which each of them were subjected, is a searingly sharp, almost-physical intelligence, which rejects all pretence or faulty reasoning. In a word, idealism. Filmed by Claude Lanzmann during the preparation of what would become Shoah, each of these four extraordinary women deserved a film in their own right, to fully illustrate their exceptional fibre, and to reveal through their gripping accounts four little-known chapters of the extermination. Shoah: The Four Sisters will be released as part of The Masters of Cinema Series in DVD & Blu-ray editions from 18 February 2019. A startlingly dark, late film noir masterwork by director Fritz Lang, Human Desire reunites Lang with his hero Glenn Ford and femme fatale Gloria Grahame from the previous year’s The Big Heat and the screenwriter of Lang’s 1952 noir Clash by Night, Alfred Hayes. Like those two classics, Human Desire finds Lang casting a pitiless eye on all of the human weaknesses that define film noir: deception, infidelity, passion, and murder. The only thing that’s not pitch black in this noir are the ethical shades of grey inhabited by all its characters. Yet its placid small town setting also offers a unique perspective on the genre, with Lang uncovering sinister secrets on these quiet streets that could rival any big city immorality. 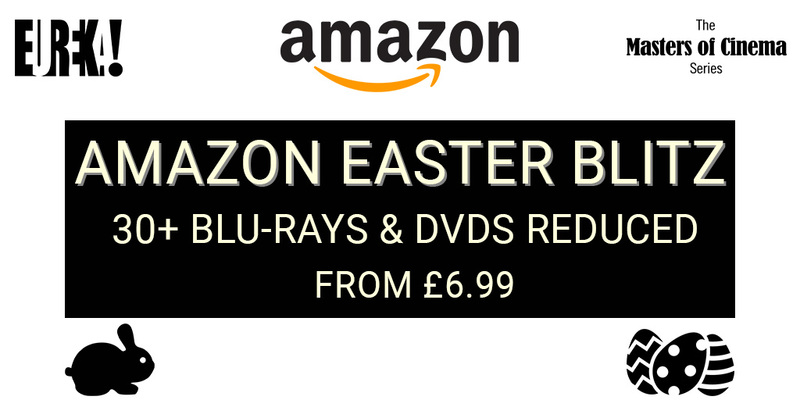 The Masters of Cinema is proud to present one of this brilliant filmmaker’s most underrated films for the first time ever on Blu-ray in a definitive Dual Format edition from 11 February 2019. Picnic is a portrait of the desires and frustrations simmering under the surface on an ordinary Labor Day in a small Kansas town. Starring William Holden in one of his most iconic roles, and Kim Novak in the performance that made her a star, the film is one of the most fondly remembered American classics of that decade, adapted by director Joshua Logan from his own Broadway production. While its examination of middle American mores may seem quaint today, Picnic‘s torrid romances, erotically charged dancing, and Holden’s torn shirt were considered bold and risqué in the conservative 50s, although now it can be viewed as an honest and moving study of a long-gone era. Featuring stunning Cinemascope photography by the legendary James Wong Howe, this much-beloved Oscar-winner is a grand, unforgettable 1950s American milestone, and is presented here on Blu-ray for the first time ever in the UK. Released as part of the Eureka Classics range on 18 February 2019.